Gilligan wrote: While that one might be the most recent it might not be the active one. 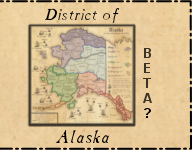 The slingshot is still not a neutral start, and people are starting with too many territories. I'm getting in contact with rds. Thanks Gilligan. Also, the Ein-gedi/Dibon border is still there as well. The most recent version v.j. posted should fix all of these, but should be tested before launch. Ok, it looks like there was an update, but the army numbers are all way off, and I think there will be lots of problems for players without BOB. Dibon lost its connection over that bridge thing to Ein-Gedi sometime in the last week or so ... almost screwed me up in a turn I just took. agentcom wrote: Dibon lost its connection over that bridge thing to Ein-Gedi sometime in the last week or so ... almost screwed me up in a turn I just took. Actually the Dibon/Ein-gedi border was not supposed to be there, except through the Dead Sea killer neutrals. That xml error for that has been fixed, which you noticed, but now the army numbers are messed up. We may have to temporarily go back to an older version, which may also have the incorrect Dibon/Ein-gedi border. But again, the map is not supposed to have that border, and the final map will not. Then you should take out the little pathway there that makes it look like they're connected. I don't see the point of that little path if the regions aren't going to be connected. The lines are dividing lines for the two Dea Sea terts, and show which terts on each side attack which of those, or both. I had originally used 1 single divider line, but changed it in v10 on 2012-12-04. So for the last over 8 months there has not been a mention of such confusion. I'm not saying it's not there, but once we get the map back up, and some more games played, we'll have a better idea as to the whether or not this is a problem, or just a case of an XML error giving the wrong impression from the beginning. i.e. Would you have had a problem if the border had been closed the first time you played the map, as it was intended. Other than that I hope you're enjoying it. I know there is a lot going on with maps, but wasn't sure what the next steps were with this one, or if there was anything we should be doing. Here is the fix. There were no underlying neutrals to the territories, so it would give 14 positions from the max and randomly distribute the rest. Any idea on when this map will be opened again? ViperOverLord wrote: Any idea on when this map will be opened again? The new xml has been downloaded a bunch of times, so hopefully one of those is for uploading. - Updated the OP with the new XML file fixed by Gilligan, thanks buddy. Hopefully that takes care of everything, and we can get the map back up and running. Apparently my fix didn't work when tested. I was nearly sure that it would. Every territory is coded to start neutral, except for the 14 per player. I've stared at this thing so long, and I can't see any errors. We need someone else to look at it. Fresh eyes might make the difference, especially since I thought this fix was certainly going to work. Gilligan wrote: Apparently my fix didn't work when tested. I was nearly sure that it would. 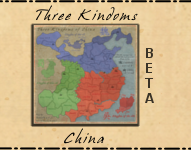 Every territory is coded to start neutral, except for the 14 per player. I've stared at this thing so long, and I can't see any errors. Holy $hit! We broke Gilligan! Yes it works right now, but we will wait until the active games are done. In the mean time I will be asking a few players here and there to continue to test it. If after a while the caching problem doesn't rear it's ugly head, I'll open the map again. I think the connection between IAN Debi to Gidon could be more clear. How is someone supposed to assume that is a connection based on the map? I only realized it because of bob. Jippd wrote: I think the connection between IAN Debi to Gidon could be more clear. How is someone supposed to assume that is a connection based on the map? I only realized it because of bob. Sorry, it's actually not supposed to be a connection at all. Ironically enough I emailed about that error this morning in the hopes of updating it asap. Last edited by Jippd on Sun Oct 06, 2013 3:06 pm, edited 1 time in total. 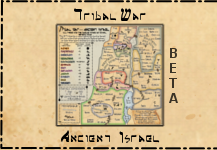 When the xml gets up loaded can the name please be change to Tribal War - Ancient Israel, instead of just Israel? Thanks. How long does a fix like this usually take? Bob still shows that you can make that assault on this map. I'm assuming XML has not been updated yet and Debi and Gidon can still assault each other. Is this a correct assumption?